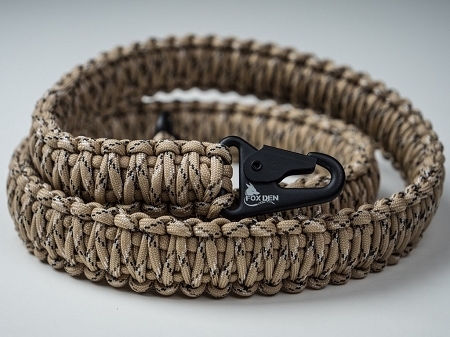 Foxden custom paracord slings, come in a feature that others may be lacking. 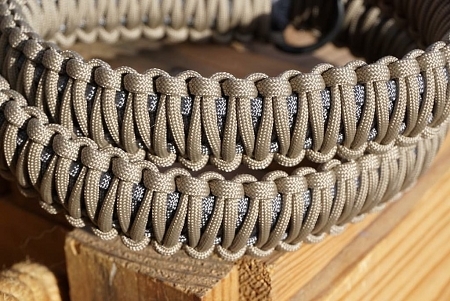 All of their slings have a single point, and multi-point option, the HK clips used and the D ring help make the transition from a single point style, to multi-point style in a matter of seconds. 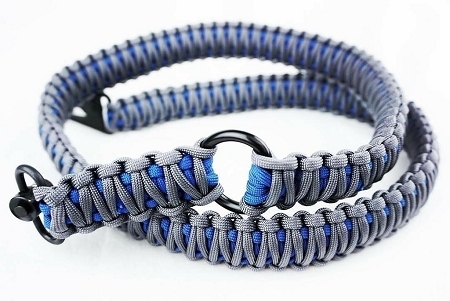 Why paracord, you might ask? The answer is simple, one, its a lot more comfortable than a standard nylon strap style sling from other vendors. 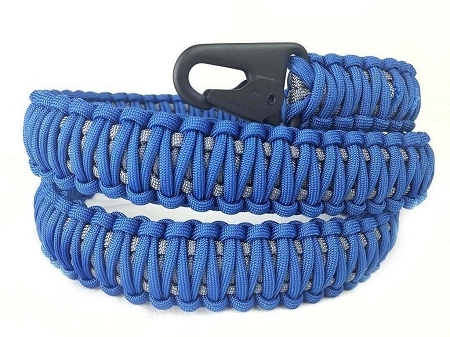 Paracord has so many different uses, and is extremely durable, rated up to 550 lbs the options for use is endless, especially for only weighing in at 6.5 - 8 ounces for the total weight for the sling. 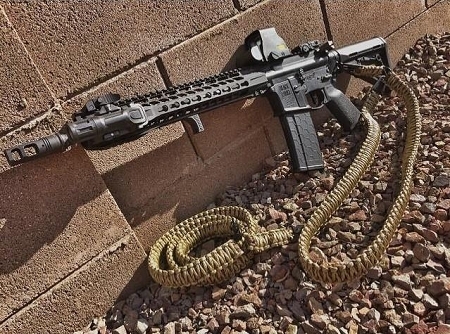 Another unique feature is its custom to you, have am awesome rifle and want to match your sling to it? 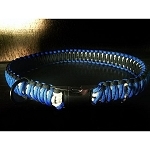 Well now you can, with a Foxden Tactical paracord slings the color options are also endless! 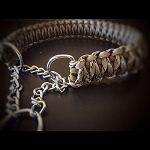 Fox Den Tactical Paracord Slings are handmade right here in the USA. 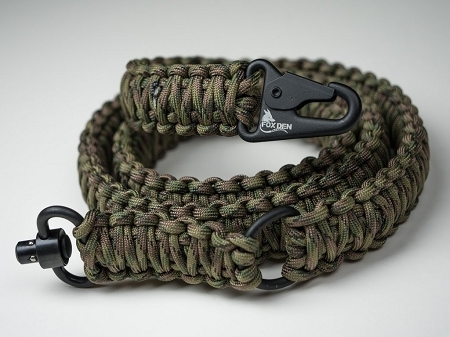 The paracord two-point sling allows you to rapidly switch between one point and two point configuration. One point allows you maneuverability, while two point offers you more stability. 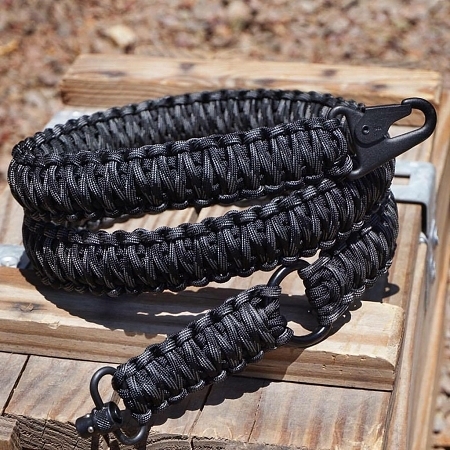 The Fox Den Tactical paracord sling comes in medium (42") and large (46"). They are offered with Quick Detach (QD) swivel or Heckler & Koch (HK) clip to attach to your rifle, select which option you prefer. 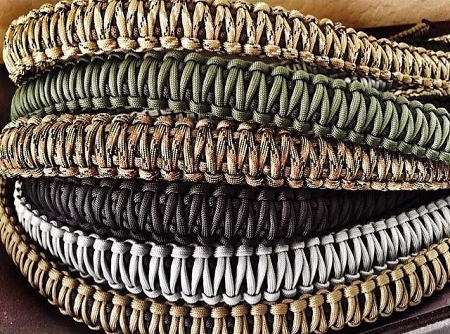 Fox Den Tactical uses only 550 Commercial Type III Parachute Cord and made with 100% raw nylon materials that can withstand a minimum of 550lb breaking strength. 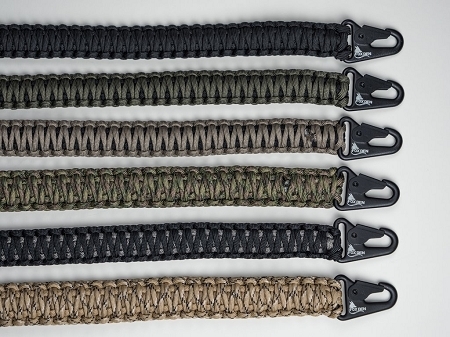 With a Fox Den Tactical Paracord Sling, you'll never worry about not having enough paracord. 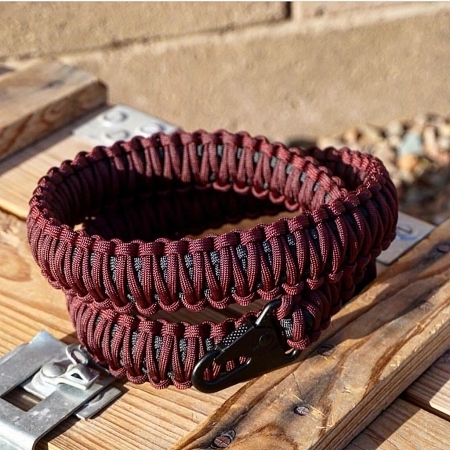 With approximately a 100 feet of paracord the survival applications are endless. 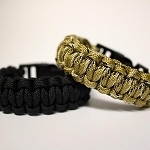 In a life or death situation paracord is the one thing you do not want to be without.